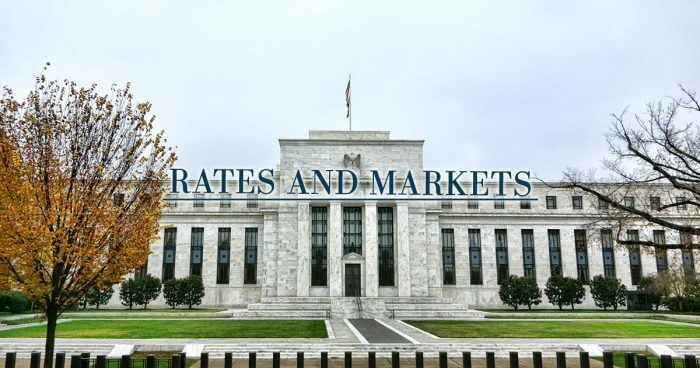 The four rate hikes by the Fed since 2015 put rates between 100 and 125 basis points creating some room if the economic environment deteriorates. US monetary policy still has the leading role for global central banks, but it seems that a shift is coming. All this may lead to a stock market correction. Last summer, US and German government bonds faced a great selloff until year-end and in June the wave restarted. We believe that this new wave has stemmed from central bankers' statements suggesting that they're prepared to reduce stimulus soon. In July, Fed may announce a date for unwinding its $4.5 trillion balance sheet, while ECB is on the edge of reducing its QE programme at the end of 2017 as well as some rate hike. 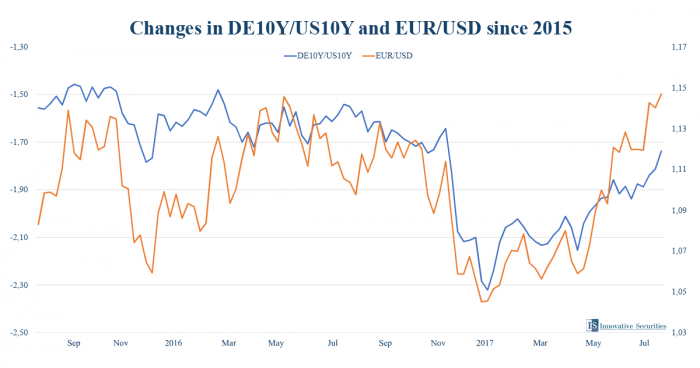 Mario Draghi’s comments set the market afire to change its forecast about ECB’s monetary policy driving the European yields and the euro higher, overwhelming the rise of US yields. German-US 10-year spread hit a fresh 8-month high. According to the rumours, ECB is unhappy about this as it would be important to them to calm expectations because European recovery is in an early stage. 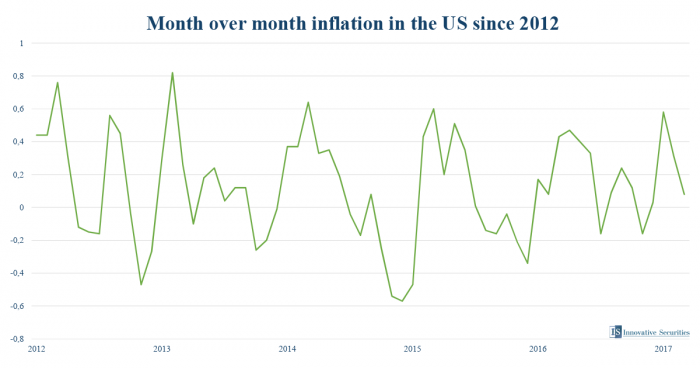 If US economy regains momentum along with inflation that could give room for ECB, we believe. But other central banks are on the edge of moving forward. Last week, Bank of Canada hiked rate unexpectedly and even Bank of England is on the radar despite of Brexit fears as markets priced a rate hike. The global focus is still on inflation, jobs and the overall economic conditions. We should point out that this year US economy hasn't been as strong as most expected, but it's not weak either. Inflation slowed and that may affect rate hikes, and the market is sceptical about the latter too. All this leads to a laggard USD but if growth or inflation begins to turn, the dollar could bounce back quickly. We believe that all this may lead to volatility in asset prices, namely in the shape of stock market correction, but the economic conditions are still supportive. Commodities are on multiyear lows and starting to form a bottom where upward moves could give some lift to the inflation. An edited version of this post appeared on Yahoo Finance, MarketWatch and Atlanta Business Chronicle. Find the articles under our Press page.